Yesterday at Chennai Cultural Academy was the first time I listened to this young chap perform; and man, I should say I was completely besottled by his music. It is very true that he has a lot to prove, and he is doing just that. 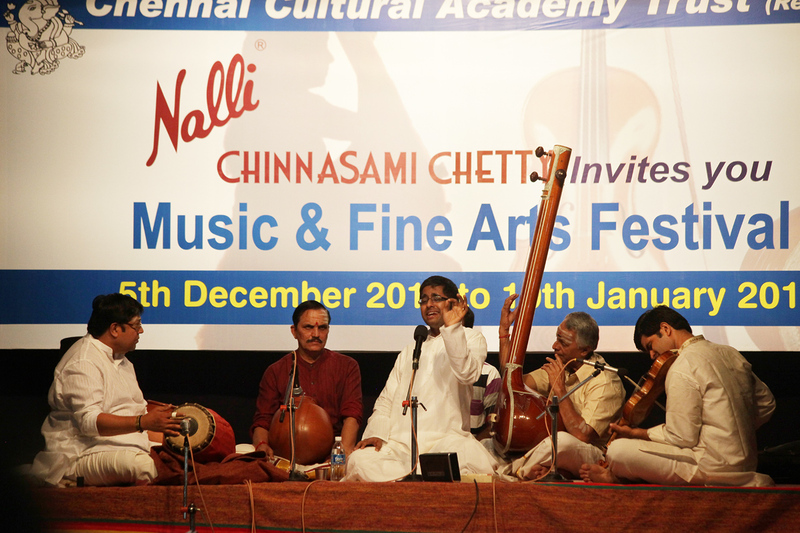 Abhishek Raghuram was accompanied by biggies like Thiruvarur Bhakthavatsalam on the mridangam, Vaikom Gopalakrishnan on the ghatam and Mysore Srikanth on the violin – and I realized that the accompanying artistes do play a significant role in lifting up the concert to higher standards. He started off with Saveri varnam followed by a crisp Kedaram. Infact, all the ragams he handled were crooked (read as vakram) and he did them with a very good control. In list were Dharbar and Varali followed by a rare Malavi. The last mentioned was rendered by all with such frenzy that it sounded like the pitter patter of rain drops we can hear on our terrace asbestos sheet on a rainy night. Be it Karuna ela in Varali or the RTP in Purvikalyani (Mathurapuri nilaye manivalaye), my only qualm was there might have been more vilamba kala phrases. But Abhishek did compensate on the exploring new things front and mastering the micro sangathis to general liking. Thanam was relatively a safe bet. Thani avarthanam made you sit on the edge of the seats, no wonder given their experience. And the entire stage seemed so happy throughout the concert 🙂 Why wouldn’t have the audience enjoyed!! Find the artistes and sabha details here. A video link with the post could have made us understand better. Try to google the artist’s photographs so that we know them. I can only relate to the names of pakka vathiyams.